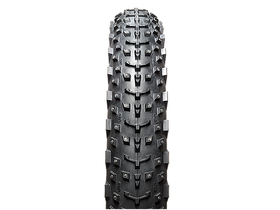 The revised version of the Dillinger 5 comes with optimized profile design and tubeless compatibility. Riding a fatbike on ice will never be the same again. 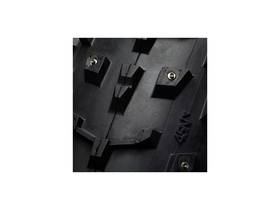 A specially developed for the winter rubber compound feels particularly comfortable on snow. With 258 concave spikes you drive even on icy trails like on rails. For low rolling resistance in the center provide tightly arranged tunnels. Note: The weights of the tires may vary due to production!